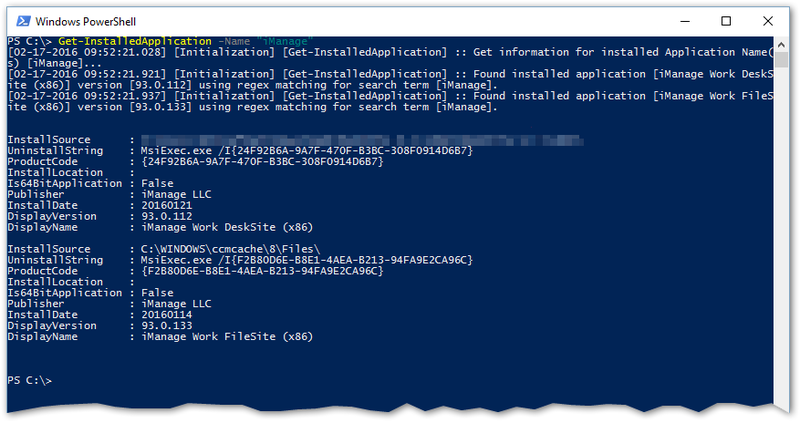 A quick way to find out MSI product codes for installed products if you have the PowerShell App Deployment Toolkit (PSADT) lying around is to dot source the toolkit’s AppDeployToolkitMain.ps1, and use the Get-InstalledApplication function. I recently figured out a better way to get MYOB Premier to deploy via MSI that the previous method that I posted. This method basically stops the MSI from checking if it’s been run by a bootstrapper (Setup.exe). I’ve tested this with Premier 11 and 12 and it deploys fine on XP and Vista. After many attempts over the years to get MYOB Premier deployed via AD GPO, I stumbled across a method this morning using only free tools. The steps are as follows. I used this method for Premier 11, so that’s what i’ll use below. This worked for me, so good luck. Some of my findings, and methods i’d use to set up the infrastructure to roll out software using Group Policy on a Windows 2000/2003 domain.